Ben Angel, bestselling author of Unstoppable (Entrepreneur Press® 2018), CLICK, Sleeping Your Way to The Top in Business, and Flee 9-5, is Australia's leading marketing authority. Founder of benangel.co, a site dedicated to providing entrepreneurs advanced online marketing courses and education, Ben provides easy-to-apply and even easier-to-understand strategies for reaching new customers with ease. HACK YOUR BRAIN FOR SUCCESS. Take charge of your life and use this book as the catalyst for your success. 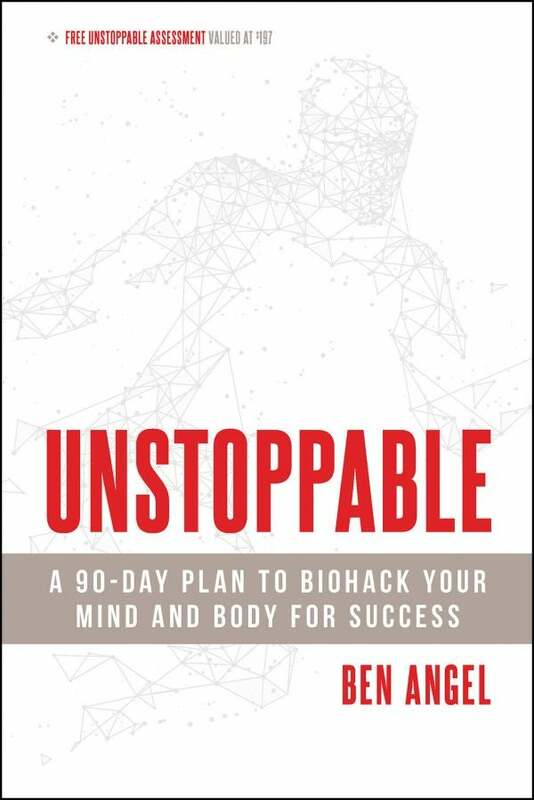 Combining powerful tools as diverse as "bio-hacking," hypnosis, and neuroscience, with an accompanying online short-film series based on each chapter, author and speaker BEN ANGEL will capture your heart, mind, and spirit as he helps you become unstoppable at every phase of life. Unafraid and unrelenting, UNSTOPPABLE is your ultimate guide to reaching peak and pushing the boundaries. This is must-read for any entrepreneur looking for that extra edge. Lack of sleep can affect your personal and professional life. Success didn't save this entrepreneur, but seeking help did. Could These Nootropics Help You Achieve Peak Mental Performance? Changing your habits and intake can affect your stress levels, focus and memory. What is it and how can you use it? Could a new supplement or change in your diet improve your productivity? Ben Angel and his team created a massive survey of entrepreneurs. Here are the results. Beating depression isn't as simple as trying to think positively, even if it is an important aspect. Close the gap between who you are and who you can be. This resource might help you become unstoppable in 2019. Learn how to control your 'fight or flight' response to think logically at these times. Though not often discussed, there are many factors that can impact our behaviors and emotions. Unlock Your Potential. Become Unstoppable. Plus, gain access to the Unstoppable Assessment to discover your identity type, pinpoint your energy levels, and create a plan to break through your own limits and become unstoppable.